Is your property a mess? Shame on you! 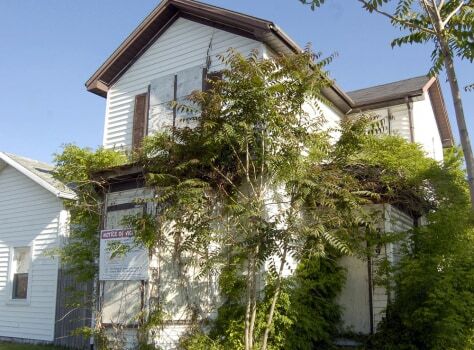 A "shame" sign tells how to contact the owner of this neglected property in Dayton, Ohio.